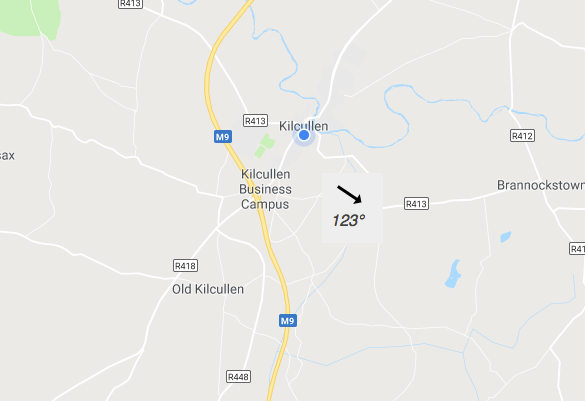 Conditions for watching the 'blood moon' lunar eclipse from Kilcullen on Friday have a chance of being suitable, writes Brian Byrne. 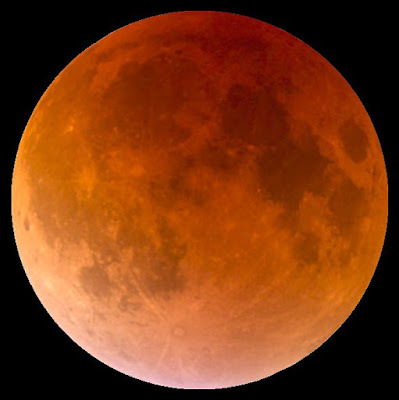 It will be the longest lunar eclipse so far this century, with the earth's shadow passing across the moon for an hour and 43 minutes. 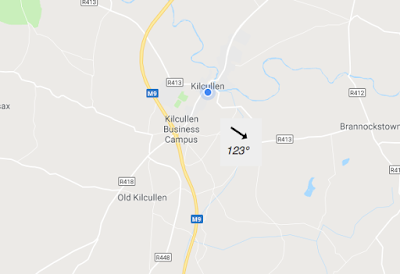 While the maximum eclipse will not be seen from Kilcullen because the moon will still be below the horizon at 9.21pm, it could be viewable at 9.27pm when the moon's disc is just fully over the horizon to East-southeast. The total eclipse is due to end at 10.13pm, when the moon will be some 5deg over the horizon to the Southeast. The best chance is to find a place on high ground with a clear view in those directions, preferably away from street lights. The weather forecast on Friday is mostly cloudy, with some heavy rain at teatime but then a projected clearance from 8pm. Map from Google, direction from timeanddate.com. The reason such eclipses provide a red tint to the moon is because of how the sun's light is scattered by the Earth's atmosphere. Blue and violet wavelengths are scattered more than red and orange ones, so more of the red wavelengths reach the moon.